The MPM is the highest designation an individual can earn through NARPM (National Association of Residential Property Managers). It takes a major time commitment and a minimum of 5 years to earn. After five years of study, service, participation, teaching, mentoring, experience, and being judged by a Review Board, I am able to finally, proudly, wear the badge of Master Property Manager. While running my property management company and working in it approximately 60 hours per week, this work has been done outside of those hours. It was a massive undertaking, which could not have been won without the support of my great team at True Blue Realty. Being a Master Property Manager places me in the top 5% of property managers, world-wide! It shows that I have the experience and knowledge to serve my Investors and my Tenants to the highest degree possible. It shows that my Clients are working with a proven professional who can handle every challenge that this crazy industry throws out there each and every day. It shows mastery in my field. I am exceedingly proud of this designation. You can also be proud that you have chosen to work with a property manager who is in the top-tier of management professionals. Hooray for me, and hooray for you! I grew up in poverty, raised by a single mother. Our meager food was paid for with food stamps and I remember well the taste of government cheese. I know what it's like to rely on extended family for shelter. I'm all too familiar with trailer-park life and I know what it's like to live in a dangerous neighborhood where there is theft, fighting, and constant noise. I know what it's like to walk past X-rated movie theaters, pool halls, strip clubs, seedy bars, passed-out drunks, and sleeping homeless on the way to school each morning. I know what it's like to beg for change along a street made famous by the number of working prostitutes. I know what it's like to be looked-down upon as a poor little waif. I know what it's like to be defined by your circumstances and to have adults despise you because they can't look through the grime and see your tender little heart. I know what it's like to have them look past you because they don't know what to do, or are too uncomfortable to look into the shameful face of the truly poor. I know what it's like to live in a world that places zero expectations on you because it assumes that you will always be where you are and will never amount to anything. I know what it's like to be without hope. Yet, I remember a good day. I remember a tremendously kind act and the hope that stemmed from it. I remember the day, about a week before Christmas, that two Marines came to my front door. I remember that their uniforms were pressed and clean and their shoes shone. They were strong and serious, and they seemed larger than life in the eyes of this little 8 year old girl. I had no idea what a Marine did, or that they were Marines at all, but I remember their presence, their being, the indescribable mix of confidence, strength, duty and honor that makes up a Marine. I remember thinking that they were important men, and that they were extremely good and that I could trust them. They seemed to me to be like gods walking among men. They came into our living room with boxes of food, and clothing... and presents! I was so excited to have presents under our tree and to know that we would have a real Christmas feast. It was pure joy to me; these Marines had brought a miracle to my front door. Then, one of them took a knee and looked at me. He didn't look down upon me, nor were his eyes devoid of hope for my future. He looked right at me, and there was hope in his eyes. He wished me a merry Christmas, and I couldn't stop myself from aggressively hugging him. He didn't seem concerned about this poor little waif wrinkling his uniform as he hugged me back! That was the day that I learned the truth about Santa Claus, because I met him in person. He is real, but he no longer wears the red suit. He wears a starched and pressed uniform and shiny shoes. He is a United States Marine and he brings miracles to tens of thousands of children every year. Through the Toys for Tots program, his elves collect toys for children who otherwise might have nothing under their tree. He shows up where he is needed most and brings HOPE and presents with him. This is why I give to Toys for Tots every year. I love having the opportunity to give back to an organization that has given so much to me and undoubtedly hundreds of thousands of children over the years. There have been years where there are not enough toys to be given to the children who are without, and it's heartbreaking to think of those innocent children without hope in their hearts and presents under their trees. I invite you to join me in giving to Toys for Tots this year. They accept presents at many drop-off locations and monetary contributions through their website at www.ToysForTots.org Help Toys for Tots give presents and hope to those who need it so much. 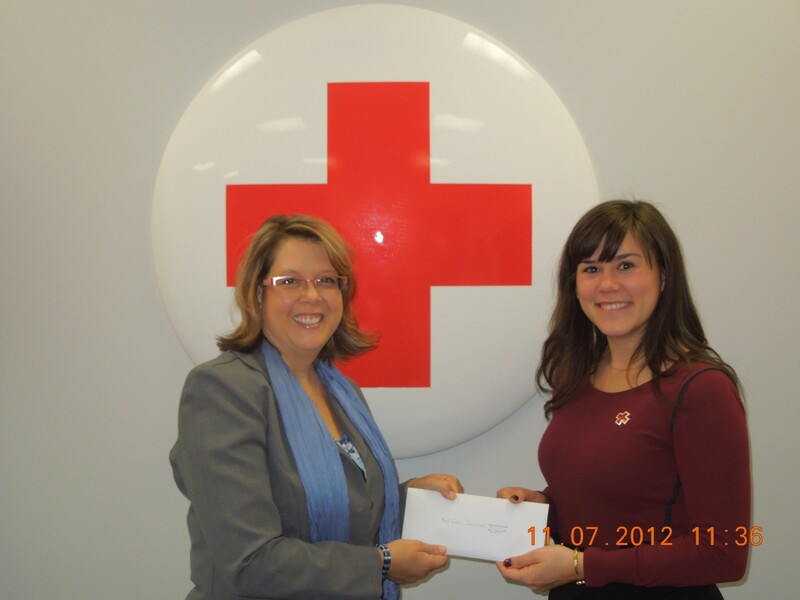 What an honor it was to be able to present the American Red Cross with a donation of $2,545.00 today. The donation will go directly to the Colorado flood effort. These funds were provided by members of NARPM (National Organization of Residential Property Managers) Denver Chapter, including our own True Blue Realty. As president-elect for NARPM’s Denver Chapter, coordinating the contribution effort and handing our donation over to the Red Cross has been one of my favorite duties to date. It was wonderful to spend some time with Natalie Bogard, Development Coordinator for the American Red Cross, learning about the ongoing efforts taking place throughout Colorado. There is still such need; many have been completely devastated and have lost all that they have due to the unprecedented flooding which followed a summer of severe fires that have swept through our fair state. But the Red Cross is there, providing healthcare, mental healthcare, casework services, assessing needs and making recommendations and referrals for other services such as cleaning out flooded homes, finding new homes, and replacing lost documents. In addition, we have heard reports from our Northern Colorado NARPM Chapter of hands-on good work that the Red Cross has been doing in the most devastated area of Colorado. Red Cross volunteers have been helping to dry carpets, removing debris, and lending a helping hand wherever it was needed. The American Red Cross is a worthy organization, and it feels so good to be able to give back a portion of our financial blessings to those who bless others, especially when the funds will do much good for those who have a great need. Colorado will be rebuilt. Fire cannot burn our spirits out, and floods cannot dampen them. We are a hardy bunch of folks possessing great determination and strong spirits. We are great neighbors as well, eagerly jumping in to take care of our own. That was evidenced today by a group of property managers taking out their checkbooks in order to present their gift of love in aid to our neighbors. This Thanksgiving season in addition to the usual things I am thankful for, I will also remember to be thankful for the good work that the Red Cross is doing, and for the ability to give back. Those of us who choose to live the life of a Short Sale Listing Agent are constantly plagued with the task of deciphering and living by new governmental regulations. There seems to be a general panic about MARS regulations (Mortgage Assistance Relief Services) and extremely little information about it. We hear tidbits about complying with this cumbersome new law, and due to the darkness that seems to shroud MARS, the panic is multiplied. · Disclosure- Mortgage Relief Companies and Individuals must disclose key information to consumers to protect them from being misled and to help them make better informed purchasing decisions. 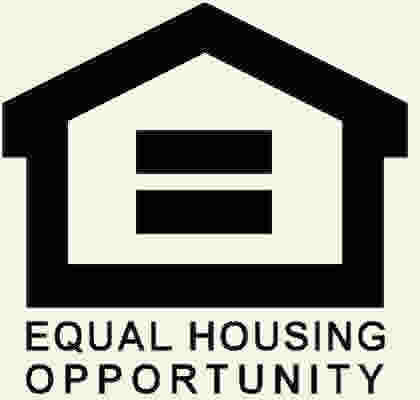 The Rule covers Real Estate Agents who promote their services as a way to help consumers to avoid foreclosure. The Rule doesn't cover Real Estate Agents who only provide services to help people in buying or selling homes- like listing homes for sale, showing homes, or finding homes that meet buyers' needs, even if they deal with short-sale listings. Be careful to provide the proper disclosures if you are marketing yourself as a foreclosure avoidance expert or counselor. · Advanced Fee Ban- Under this provision, Mortgage relief companies and individuals are banned from collecting an up-front fee for their services. Only attorneys who have met certain guidelines are exempt from this ban. So, don't collect any retainers or up-front fees. That's easy enough. · Performance Representations- The Rule prohibits Mortgage Relief Companies and Individuals from making and false or misleading claims about their services. They must have reliable evidence to back up any claims they make about their services. No puffery or misleading. Again, easy enough. · Recordkeeping- Keep copies of ads, sales records, and written communications with customers for 24 months. But we already do that, right? It seems to me that if we are being honest and ethical, MARS has little to fear. HOWEVER, many states have not yet provided Realtors with the proper forms and disclosures even though certain disclosures have been required since January, 2011. The FTC has provided sample language for disclosures that meet the requirement of the MARS Rule. Denver, CO, November 8, 2010 — Colleen “Cookie” Hooper with TRUE BLUE REALTY, LLC has earned the nationally recognized Short Sales and Foreclosure Resource certification. The National Association of REALTORS® offers the SFR certification to REALTORS® who want to help both buyers and sellers navigate these complicated transactions, as demand for professional expertise with distressed sales grows.